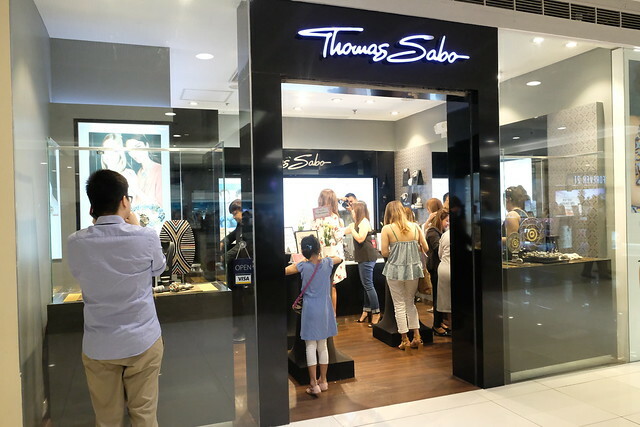 Two weeks ago, I got the chance to check out Thomas Sabo in SM Megamall. It was my first ever visit to a Thomas Sabo and a charm bracelet store ever. I've seen my friends wear charm bracelets and they are crazy about them! 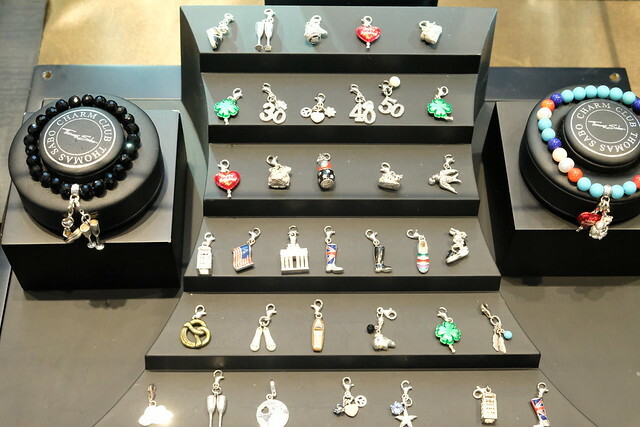 I never understood what the fuss is all about until I visited the Thomas Sabo store! 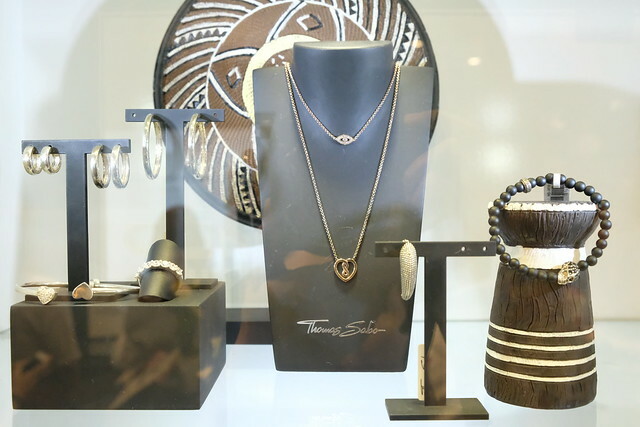 Thomas Sabo is a German jewelry brand founded in 1984 and has become one of the leading global brands in designing, selling and distributing jewellery, watches and beauty products for women and men. 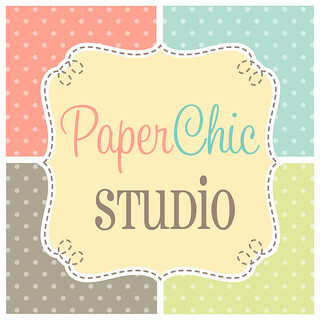 It currently has 312 shops (112 shop-in-shops, 31 corners and 169 stand-alone-shops) worldwide! 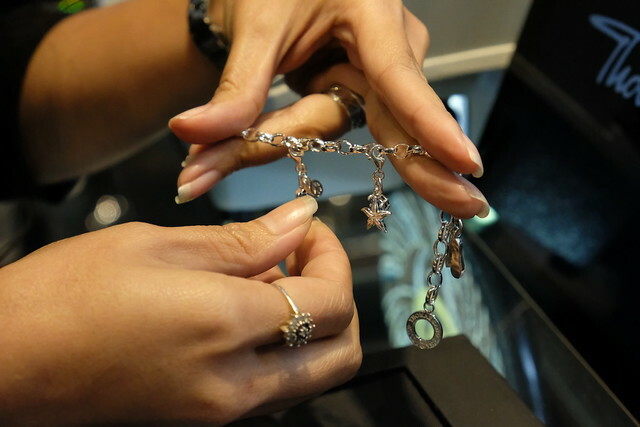 It was my first time in a Thomas Sabo shop and I was surprised to see they also have jewelries. I initially thought they only carry charms and charm bracelets! 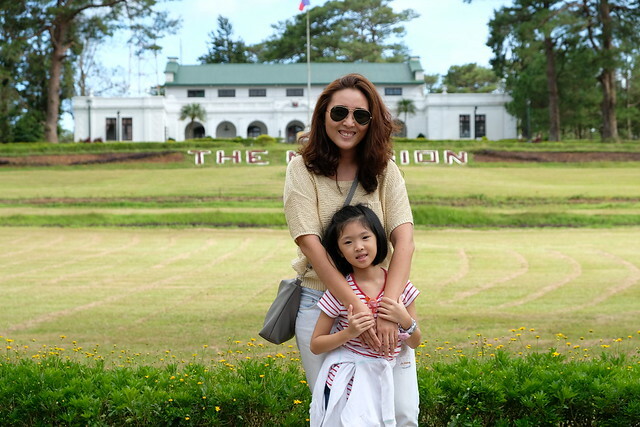 When I became a mom, I've foregone wearing any kind of jewelry except for earrings. Now that my kids are bigger and I no longer carry them, I've started to accessorize once again. I can't wear necklaces anymore because I react to any kind of metal, so it's earrings and bracelets for me. 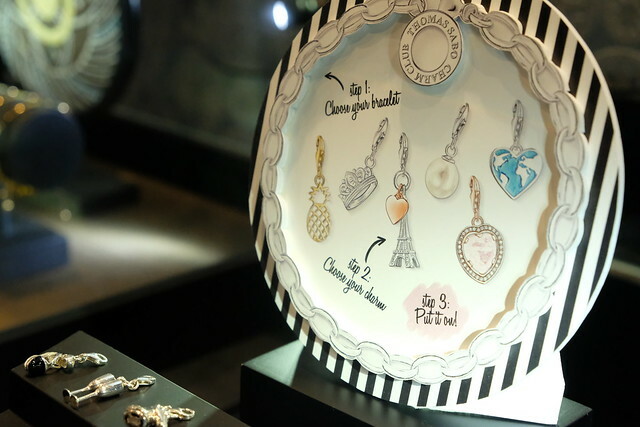 Thomas Sabo has a wide selection with different collections to choose from. 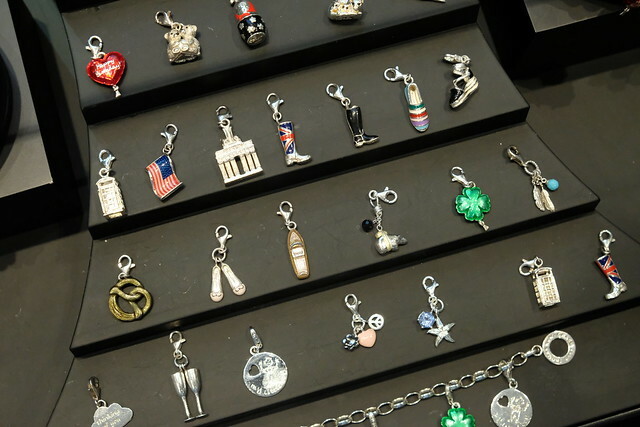 They have something for everybody, like this engravable jewelry they have at the store. 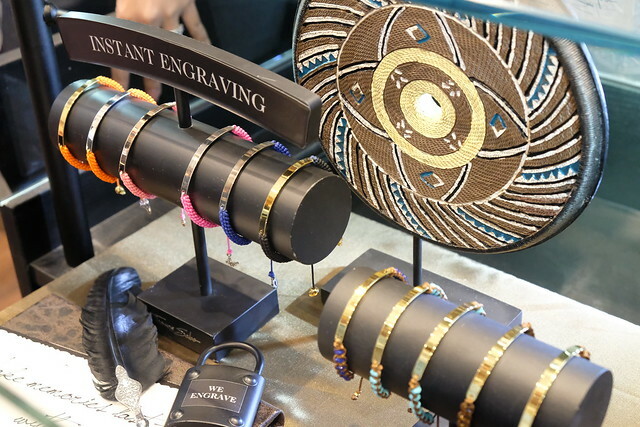 Pick a bracelet and engrave your love one's name! 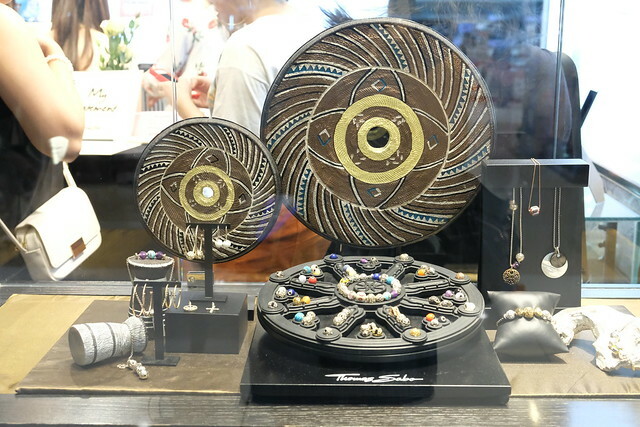 They also have fine jewelries which were also so pretty! But I had my eyes on the Thomas Sabo Charm Club! I was excited to make my very own charm bracelet and pick the charms. 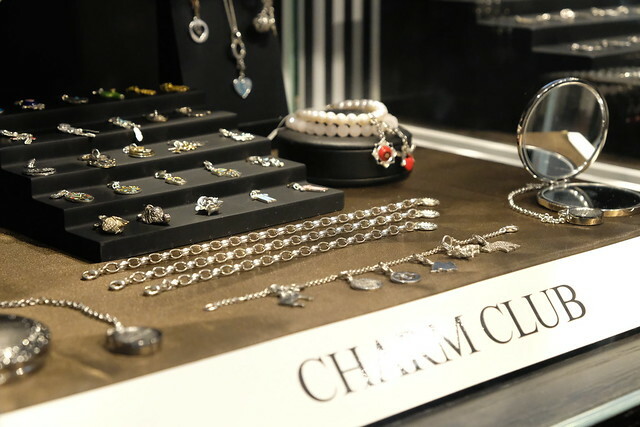 A Charm Bracelet costs Php2,990 and the charm pendants start at Php1,990. It was hard to pick which charms to go to my bracelet! Y helped me chose the charms. She picked the pink heart charm while I chose the star fish and the shoes! You can put as many charms as you want! What I like about the bracelet is that I can actually share this with Y! Thank you Thomas Sabo Philippines for this Mother's Day gift! 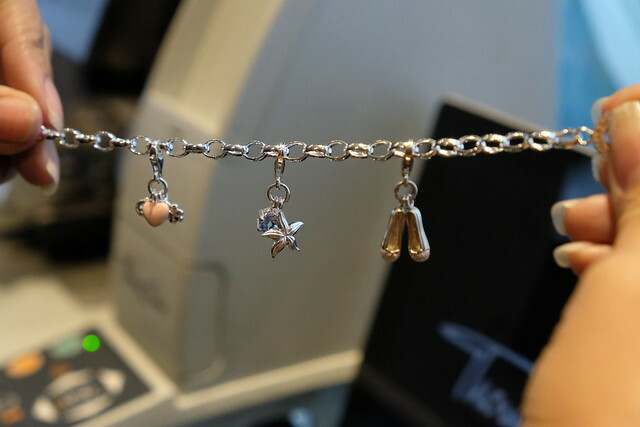 I can't wait to put more charms to my bracelet!